Sometimes the simplest things can be the most satisfying. This week I've been taken with clementine oranges, those tiny cuties with a tart edge. Just peel and eat. Repeat. 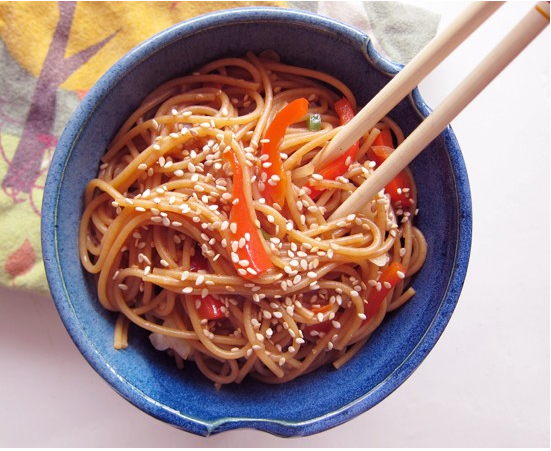 Then there are these spicy noodles which I think are almost as easy. Almost. The best thing about them is that you probably have all the ingredients available in your pantry and vegetable crisper. If not, improvise! I used thinly sliced red pepper for colour and crunch, but a bundle or two of baby bok choy or julienned carrots are just as nice. Got gluten issues? 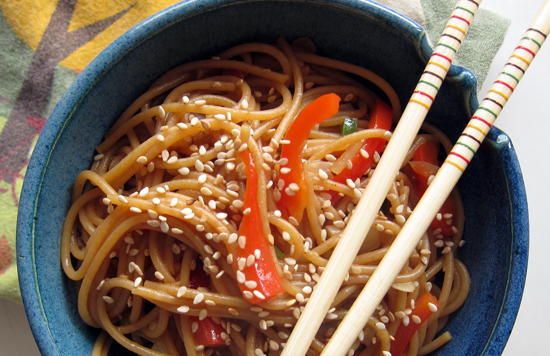 Sub in some 100% buckwheat soba noodles instead of whole wheat pasta. Or use your favourite gluten-free spaghetti. And don't forget to trade out the soy sauce for some Bragg's (or gluten-free soy sauce) & skip the hosin altogether! Want to make this dish a vegan affair, just sub in vegan spread for the butter and agave for the honey. Totally easy. This dish packs quite a punch. I like it spicy and so I've used both fresh jalapeno and my favorite asian condiment, sriracha here. But it's not over the top and there's some sweetness to tame that heat out. But however you make these noodles, I know you'll make them again and again. Addictively delicious. I've made this with hosin sauce and without and both ways are delicious - the hosin just adds a bit more punch, flavour-wise. But if you don't have any, don't sweat it. In a large pot, bring water to a boil and add in noodles. Meanwhile, in a large skillet, melt butter and add in onion, garlic, and ginger and saute over medium heat. Let this get soft but not browned. Add in the red pepper and jalapeno. 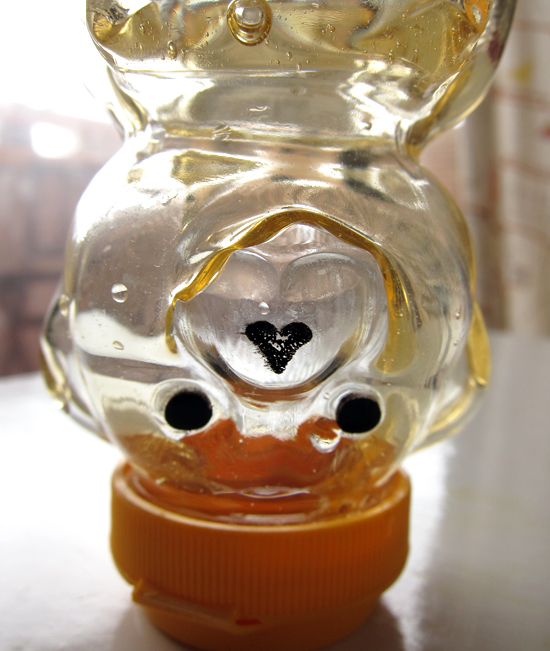 In a small dish, stir together the soy sauce, honey, hosin, sriracha, and sesame oil together. Set aside. Drain pasta when cooked to al dente, add to pan with the onion-pepper mixture and pour over the sauce. Toss well. Sprinkle with sesame seeds and serve in 2 deep bowls. Garnish with additional sesame seeds. this looks so good!! i think i need to try making this!! I love me some noodles...only probably is they go down so easy I usually end up eating too much.